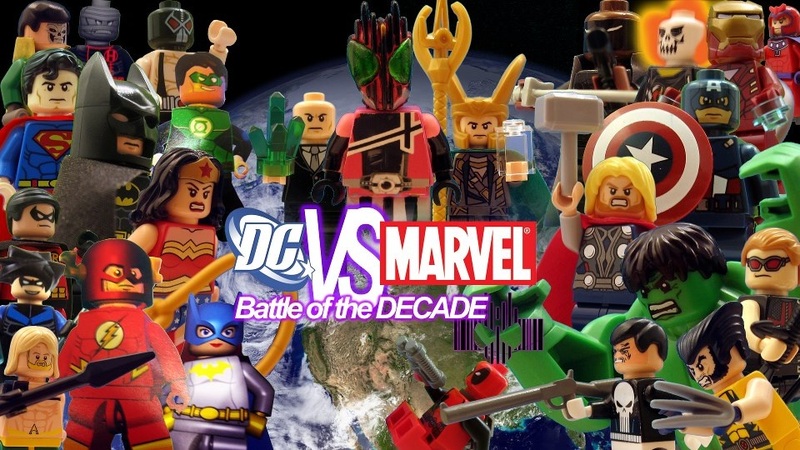 A DC, MARVEL, Kamen Rider Crossover film that will branch into 3 different MINI SERIES! This is where I create superhero stories where they and the villains all die. Do I just like to kill characters? Do I hate them? No, not really. But I just want to make a video about them, end them in a heroic way. So far only two shorts have been made here, Spiderman and TMNT, but I do have plans for a longer Batman one and a mini series for Justice League. I do have custom made Justice League minifigures, but since the LEGO Super Hero Brand will be selling in 2012, I thought I might as well wait a little before I continue with the scripts and get other ideas done first. With this Spiderman video, I really wanted to see him fight and sacrifice. But I also wanted to see it quickly. So instead of a long story, I kept it simple. However I did want to try something new. I wanted Spiderman to really look like he was swinging. So I did it digitally. It is still stop motion, the computer side just helps me. A tribute to the original Teenage Mutant Ninja Turtls movie... Wow I really love that movie. I don't mind the CGI movie also. Not much to say here, except it's TURTLE POWERRRRR! As two of Spiderman's most powerful enemies fail to capture him, a cold chill arrives to New York city to face up to the challenge. I did this one very quickly, everything was built and filmed within 2 days. It was a test of skill. And now this is my most viewed Brick Film. Perhaps people just love to see Batman and Spiderman together, they are the most popular characters from DC and Marvel. 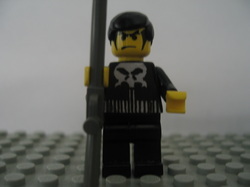 This Brick Film features one of my first ever Custom MiniFigure... wow Venom looks awful... In a way this video ties up the 3 part Batman Cross Over Videos. Put all three of these videos together and you have about an hour of Batman, which is the same as a lot of animated features. Not much to say here but I think my spidey senses are tingling! Killer Croc has come to New York City, but why? The Punisher himself is considered a dangerous killer himself, as he and Batman will meet, what will come into play? After seeing the Punisher Movie with Thomas Jane, I LOVED the punisher. Why do people hate that movie? The story is ok and the action is ok? Since The Punisher and Batman are very similar characters, both had their families killed in front of them, and both decide to go out and hunt down the criminals. The only difference is that The Punisher crosses the line that Batman will not. So putting them together is a great idea. Unfortunately this only happened once in the books and The Punisher met the "fake" Batman during the Knight Fall comics. So I wanted to see the Punisher meet the REAL Batman. Taking ideas from the video game, Jigsaw is once again using the tech of Iron Man for the final Battle with Batman. 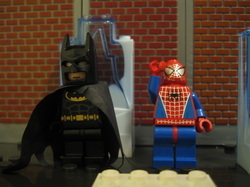 There is also a cameo of Spiderman in here as a teaser for my next Brick Film. Overall this turned out ok? But again, voices would make this better. 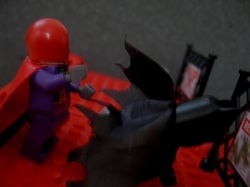 I originally wanted to jump right into making a BATMAN brick film when the sets first came out. I bought all the sets (except ice buggy and batcopter, I WANT THEM) and planned a script. But there was one problem, I knew no one who could do Batman's or the Joker's voice justice. I filmed the whole thing, quite quickly actually, in fact too quickly. After I filmed the entire video and looked at the shots on my computer, I thought to myself, I should scrap this idea or do it again. I moved on to the other Batman projects. After I had finished Batman Punisher and Batman Spiderman, I saw the folder for this project and had a look at it again. I had filmed all the shots and felt that I did not want to waste them, so I decided to finally put it together. After I had done so... I feel that it did not turn out as bad as I had imagined... If anything, better than Batman Punisher. On a last note, the start is a tribute to Adam West and Bruce Timm's animated series (BEST BATMAN) with the Grey Ghost poster. And finally I wanted the movies to acknowledge Joker's origin as the Red Hood, which so far... none in live action.